B vitamins are essential for the mind and energy. They are required for many brain processes such as the manufacture of important brain chemicals & neurotransmitters (the brain’s messengers). A deficiency can impact the way we feel and behave and can be caused by a poor diet or lack of variety in the diet, high alcohol intake or stress. 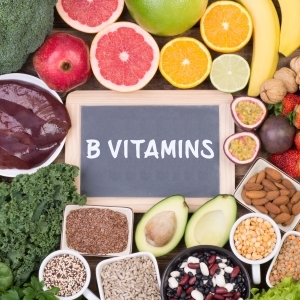 B vitamins should never be supplemented in isolation. The best way is to eat a varied diet of vegetables and wholegrains in their natural not refined form such as brown rice and wholemeal bread.